In 2007, Javier Loya co-founded OTC Global Holdings, which has since become the largest independent institutional broker of commodities, covering physical and financial commodity instruments from offices in Houston, Chicago, New York, New Jersey, Louisville, London, and Geneva. OTC Global Holdings is a leading liquidity provider and ranks top among peers in Natural Gas, Electricity, NGL, Crude Oil, Petrochemical and Refined Products traded on the ICE, CME, NFX and CBOT exchanges. In addition, OTC Global Holdings also brokers in emission derivatives, commodity index products, metals, soft commodities and weather derivatives. OTCGH has been named to the Houston Chronicle’s “Chron 100” list of top privately held companies multiple times. Additionally, OTCGH was named the “fastest growing company in Houston” by the Houston Business Journal in 2008. 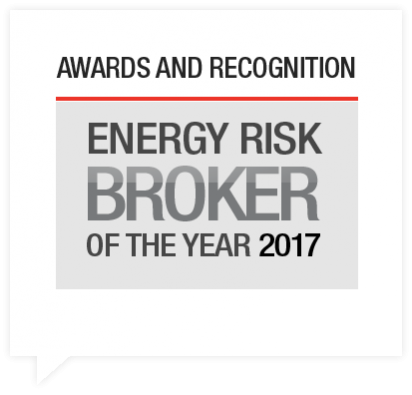 Energy Risk selected OTCGH as “Broker of the Year” in 2011 and 2015 recognizing its excellence among peers across the globe. We treat each client with a personal focus, allowing our brokers the freedom to understand their unique needs and goals and work within our structure of innovation and excellence to help achieve them. The value our brokers bring cannot be understated. They are the reason we continue to attract over 300 institutional clients including 70 of the Global Fortune 500 trading businesses. Our business model is what sets us apart from the competition. Our brokers are also our partners, allowing them to grow and build their portfolio. Harnessing the power of human capital is just one of the ways OTC Global Holdings excels. The success of OTCGH is due in large part to the unique business model that allows brokers to be nimble and entrepreneurial yet still receive the support of a much larger organization. Brokers have a forward-looking view, and the technology platform allows them to stretch and expand their portfolio and customer base. The introduction of the EOXLive platform provided clients with a screen that helps aggregate all of the liquidity pools OTC Global has put together, and is yet another piece of the technology backbone. Truly a global organization, we are the largest OTC liquidity provider in certain key commodity contracts on the ICE, CME and Nasdaq. When you work with OTC Global Holdings, know that your brokers are focused, efficient, effective, insightful and strategic because they are part of a team that rewards and expects execution excellence.